We'll Rich did say we test yesterday's highs, based on the average 3 Day Rally. But only one exception for longing according to Taylor on a Sell Short Day. As per Taylor no longs even on the violation of Sell day low. The only reason that I would consider that long at low is that yes the violation and mainly that we didn't get much of a 3 day rally. Lets not forget that TTT is a framework and a guideline. One can take any trade one wants to, however if it is against the rules then extra care should be used. IE: thighter stop and protect profits quicker. Yes guys so far a great SS day. As mentioned in last night's email to subscribers, we still had room to go up to achieve the average 3 day rally. 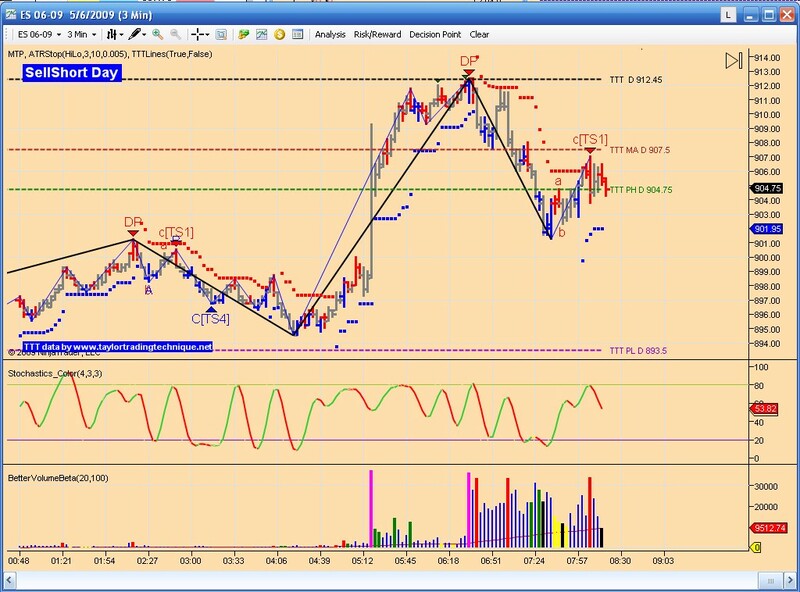 We opened right at the TTT levels for that and had a nice DP from the overnight action. As this DP was only about a 1:1 R/R ratio and would not show up on charts without this filter turned off, could you elaborate on what other factors would prompt you to take this DP trade with the RR so low? Thanks. It was a test and failiure of the overnight high and it was right at TTT so for me it was worth the risk. I also entered the trade at 911.5. 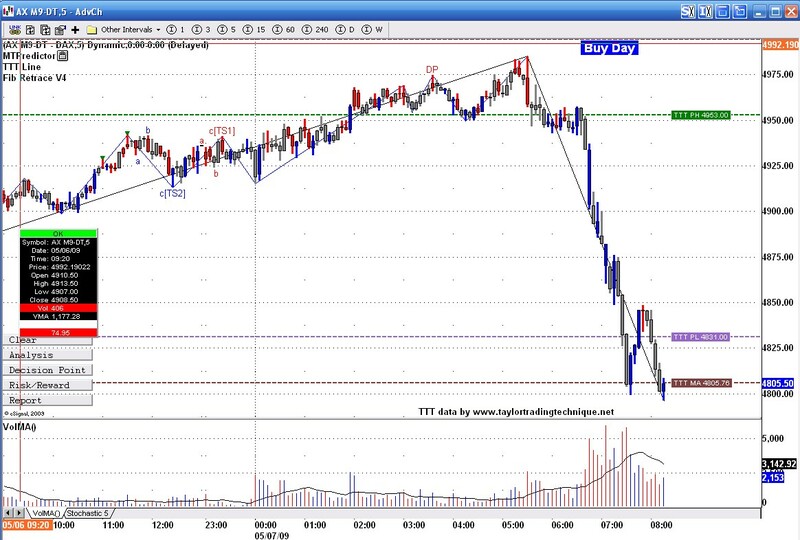 I exited at 903 since it was the 50% retracement of last wave up, day session. I use MTP in a different way than what they teach, that is why I didn't even look at the RR. There also was numerous fibs at that level.